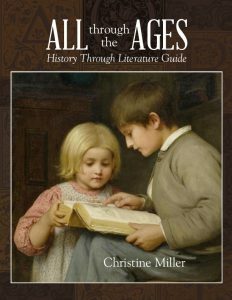 All Through the Ages is a soft-bound 8-1/2 x 11 inch book of 360 pages. 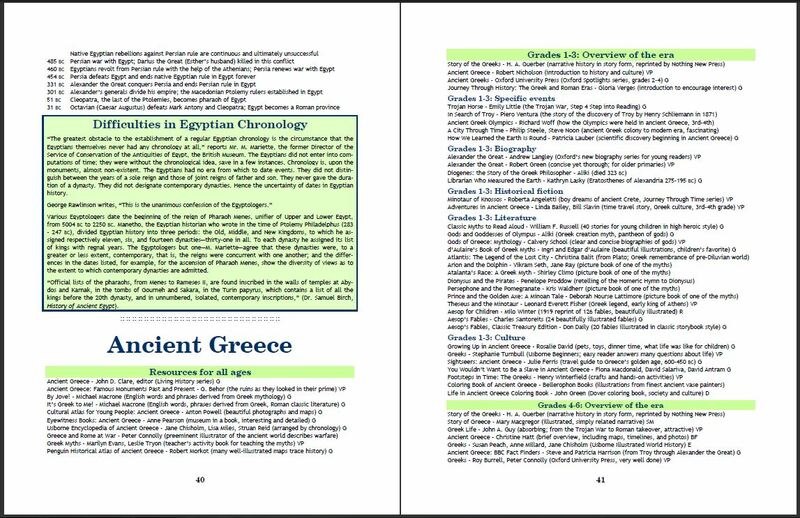 The All Through the Ages eBook is in pdf format and may be printed for personal use from your computer. The Introduction explains the layout of the book and gives some help in using real books to teach history. It is 12 pages in length. The Chronological history booklists take up the next 170 pages (view the Colonial Wars list from the Chronological history section).The Geographical history booklists take up the next 105 pages (view the China list from the Geographical history section). Additional specialized booklists take up the next 25 pages. The Bibliography and Index take up the remaining 45 pages. Do you have a question about All Through the Ages? We love to hear from our customers! Please send us your All Through the Ages comments and receive a 10% off coupon code toward your next purchase.